The new Ergo Lite manual wheelchair made by Karma is one of the lightest manual wheelchairs you will find but it doesn’t compromise on strength or durability. 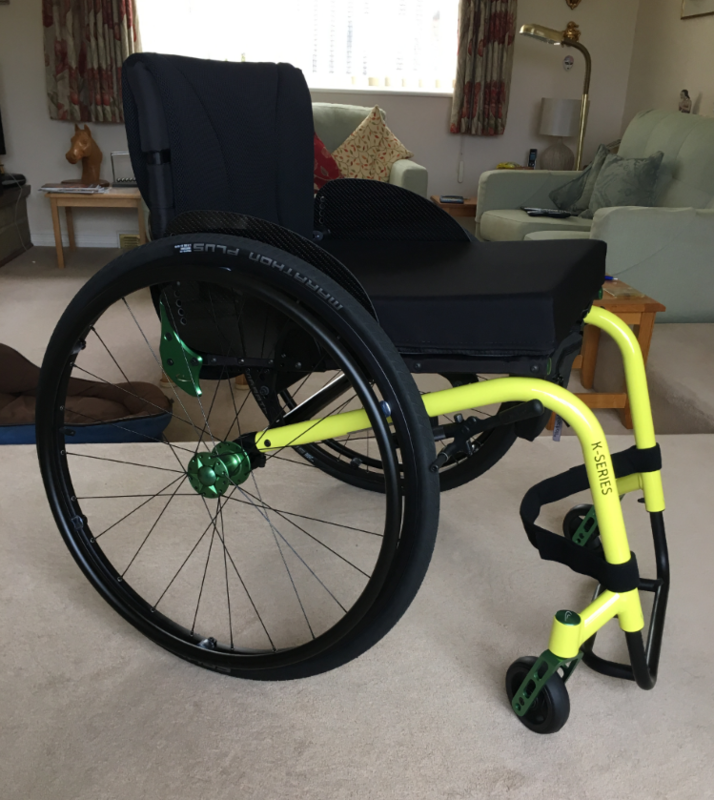 The Ergo Lite Transit wheelchair is an incredibly innovative piece of equipment, only weighing at 8.3 kg this is one of the lightest wheelchairs you will find on today’s market, and available for an unbelievable price! The Ergo Lite wheelchair has been designed to be streamlined in every way which reduces the weight making this wheelchair even lighter. Karma have been able to keep the wheelchair to an unbelievable 8.3 kg whilst still maintaining safety and strength using the innovative double cross brace design. The S-Ergo seat gives maximum seating comfort. The seat promotes pressure distribution preventing the risk of the user from sliding down, and becoming uncomfortable. 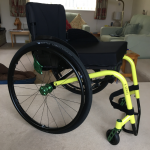 This modern wheelchair has been completely crash tested meaning the seat can be used in a car or other modes of transport when properly strapped down. The Ergo features the ‘easy-to-go’ design which enables the user to put the chair into a car with ease. Equipped with breaks and pushing handles that can be locked into place, the Ergo Lite is a very comfortable and practical chair. You can enjoy outdoor life to the full with the new Ergo Lite wheelchair. The Ergo Lite wheelchair is one of the lightest wheelchairs around making it very easy to manoeuvre, transport and store. The chair is equipped with a half folding backrest, meaning the chair can be folded and transported with no stress at all. Ease and practicality is added by the shaped seat and Aegis microbe shield included. 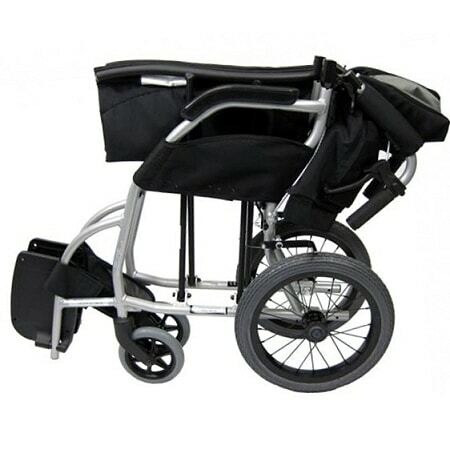 Having a choice of 16’’ or 18’’ seat widths, being easy to fold and transport and having that supreme quality and reliability that you would expect from a karma product, the Ergo Lite manual wheelchair is the perfect choice for people who want an easy to use chair that’s lightweight and affordable. 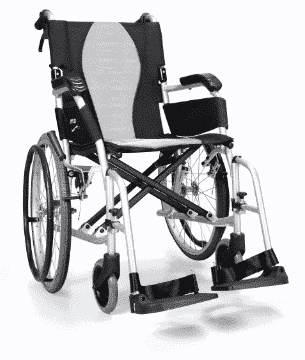 This wheelchair is perfect for the everyday and active user. Please contact us today or visit one of our showrooms to find out more about the Ergo Lite wheelchair.